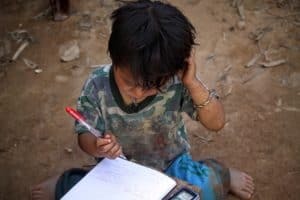 Education is undoubtedly one of the most important factors that impacts the growth and development of a country as well as the future course of the country’s people as a whole. Children can transform into miraculous human beings if they are molded in the right manner. At present, the teachers/tutors registered with us (including our CEO) more than gladly provide tuition at no charge to many underprivileged children studying in Classes I, II, III, IV and V in subjects, English and Mathematics. However, the children/students are registered with us only after the authenticity of the child’s family’s financial status is verified. We are also accepting registrations from full-time and freelance teachers/tutors across India who are willing to provide tuition at no charge to students who are deprived of receiving the required quality of coaching due to certain uncontrollable or unavoidable issues. The students are distributed area-wise to our registered tutors so that the travel time of the student is minimal. Kindly contact us if you wish to get registered as a tutor with us, or if you know of someone who is in need of coaching basis the above criteria.